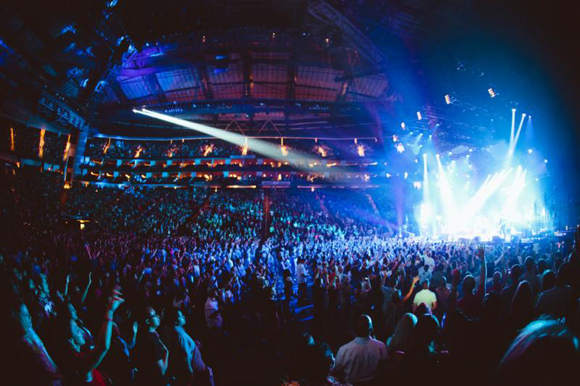 Back for its second year, the Outcry Tour brings together Christians from all across the US for a night of worship, talks and fellowship, and encourages local church in its creativity, passion and mission! This year sees Hillsong Worship, Kari Jobe, Jesus Culture, Martin Smith and many more taking to the stage to celebrate the name of Jesus! Outcry comes to Farm Bureau Live on Sunday 24th April! "It was such an amazing experience to be on OUTCRY last year," said Ryan Romeo, creative director for the OUTCRY Tour. "Some of the most influential leaders in the church came together to champion Jesus and his Bride. There is always something so powerful about the people of God, the Bride of Christ coming together to lift up the name of Jesus. That's what we experienced last tour, and next year we see so much more on the horizon. We are just getting started!"